Welcome to the fragrance families! Leaves are crunching beneath your feet. Colorful candy lines the shelves of the grocery store. Kids of all ages are buzzing about what they’re dressing up as for the holiday. Halloween is right around the corner, and we’ve got the perfect craft to get you in a hauntingly creative décor mood! 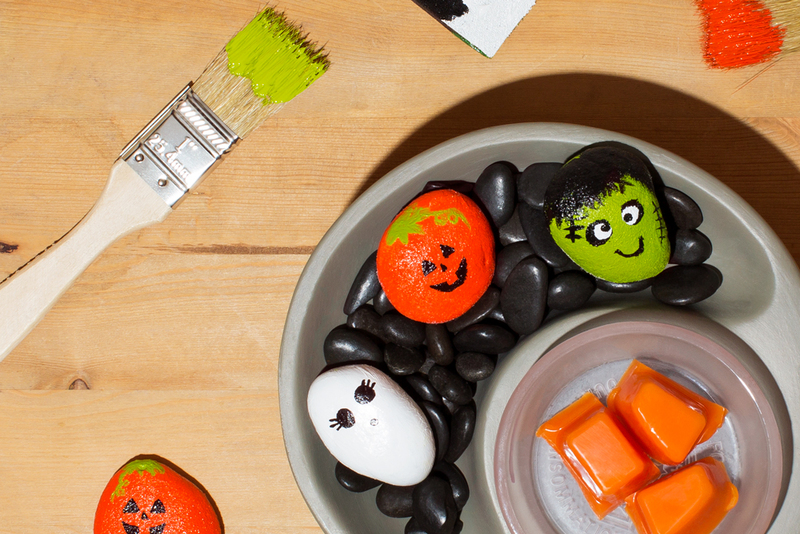 A few rocks, some paint and a crafting buddy are all you need to create some spooktacular rock creatures perfect for DIY décor or gifting to a Halloween pal! Go on an autumn stroll and find some rocks, or pick some up at your local craft store. Designate an area for painting, and place towels or an old sheet on surrounding surfaces to protect them. Get a cup or bowl of water to rinse brushes, and a paper plate to use as a palette. Decide on your characters. Will you be creating a goofy ghoul? A friendly Frankenstein? A jolly jack-o-lantern? Paint your rocks the solid color of your character and let them dry. 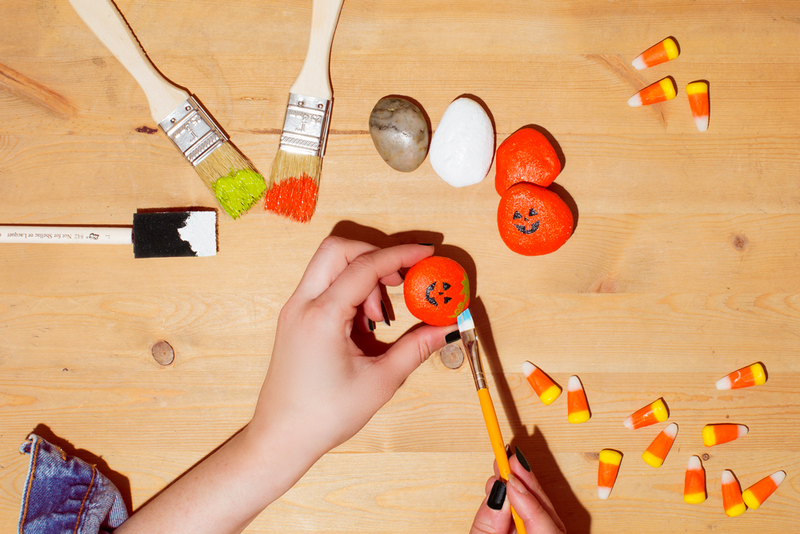 Add details like stems on pumpkins, button noses on black cats, or eyes and noses on ghosts and goblins. Use a paint pen for fine details. Let dry fully. Showcase your creations! Whether as a boo-tiful pet rock or as DIY décor around the house, they’re perfect for personalizing the Little Garden or Make-a-Scene Warmers for Halloween! How do you plan to decorate your Little Garden or Make-a-Scene Warmer this season? Tell us in the comments! To purchase a warmer or shop harvest-themed products, contact your Consultant or find one at scentsy.com. Separator image Posted in DIY. Get to Know Your Customers Day is Oct. 19! Loved the diy painted rocks in Little Garden. I think I’ll paint some leaves on a few Rocks, a pumpkin maybe. What about for Christmas…. got any idea’s. I already use the Make a Scene with Ornaments. That’s a great idea, Deborah! That’s one of the best aspects of this warmer – it allows you to express your creativity for any occasion! ?